How to Tell if a Wellness Coach is Legit. Wellness coaching is one of the fastest growing areas in overall personal coaching industry, though how can you determine if the coach you’re considering is qualified and properly trained to really help you? 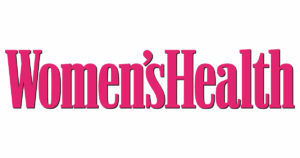 This article by Women’s Health Magazine provides some helpful tips. Read more. Please note that since this article was written for Women’s Health, a standard certification for wellness coaching has, in fact, been established. A new credential has been established: National Board Certified Health and Wellness Coach (NBC-HWC). You can read more about this new credential here.